There are so many amazing creatures in nature that we have not discovered yet. These creatures have stunning and amazing looks that will surely leave many people in awe upon seeing them. 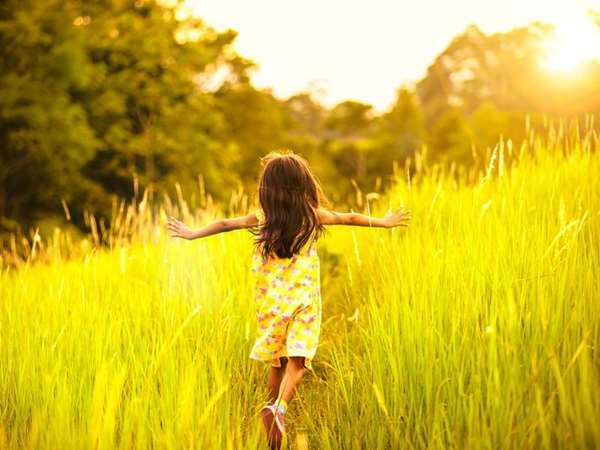 Their existence in our world is definitely a huge blessing and a reminder to humankind that we are only a small fraction in our vast universe. Let us take a look at these magical creatures! 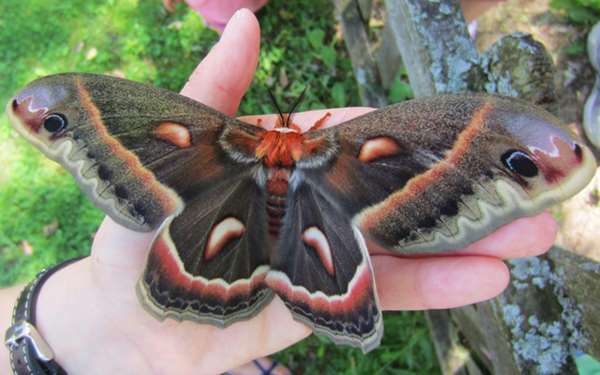 This is one of the largest nocturnal moths in North America with a wingspan of around 15 cm. When in their larval stage, their length is around 11 cm. These are bulky insects and their main diet are leaves of maple tree, birch tree and cherry tree. The moth’s wingspan could reach 20cm when it is widely opened. Their main diet is fruits especially overripe bananas. 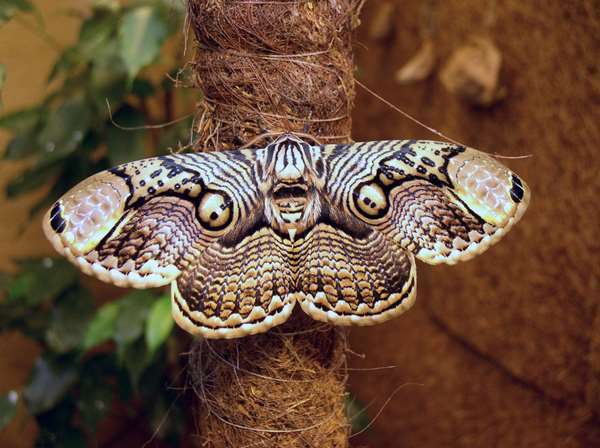 This moth can be found in the North Eastern Himalaya, Burma, Western China, Sundaland and the Philippines. 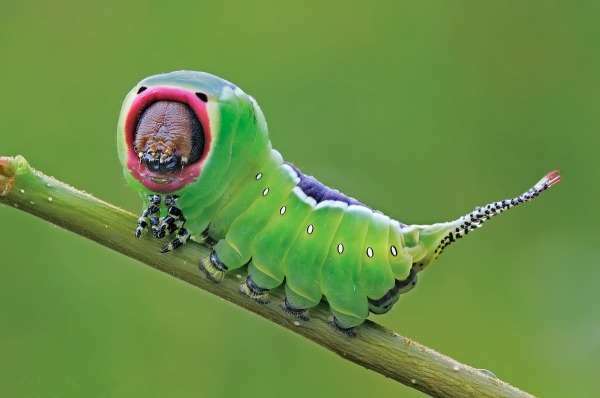 Puss moth caterpillar is a very special caterpillar. When it feels threatened, it will raise and retracts its head to reveal a pinkish face that looks like a large mouth, lift its tail high and lash them around to scare its enemies. They are mainly found in Europe, Russia, Central Asia and Africa. We are very familiar to the larvae of silkworm moths. They are silkworms. 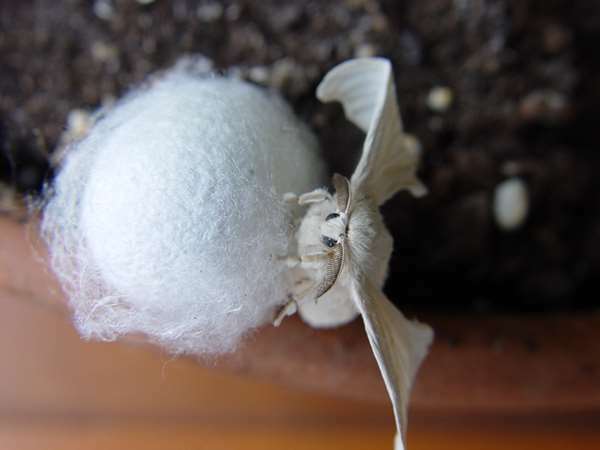 We use its silk which is produced when they are in their pupae stage to make silk clothes. It is mainly found in China, East Asia and Russia. 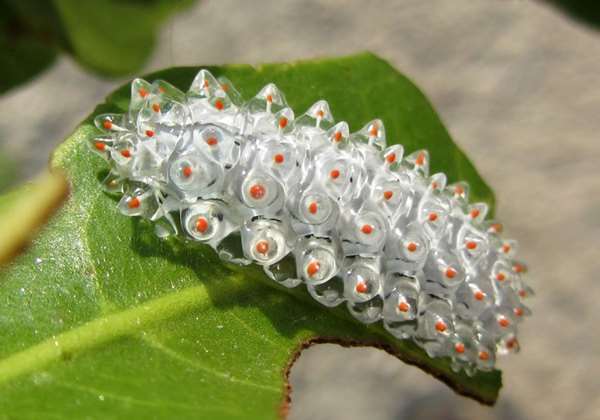 This insect looks like jelly and is almost transparent. This insect can be found mostly in the tropical countries. 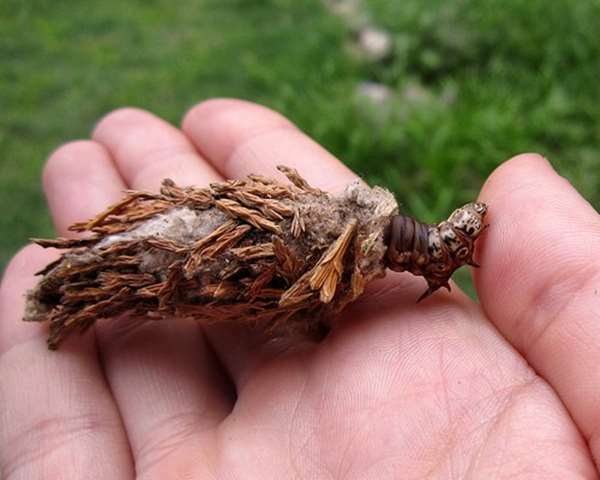 The moth larvae collects leaves, branches and other objects to make sleeping bags and then hang themselves on trees. Their sleeping bags are as long as 12 cm long. They are bright coloured, small in size, very tame and incredibly beautiful. They are nocturnal insects. 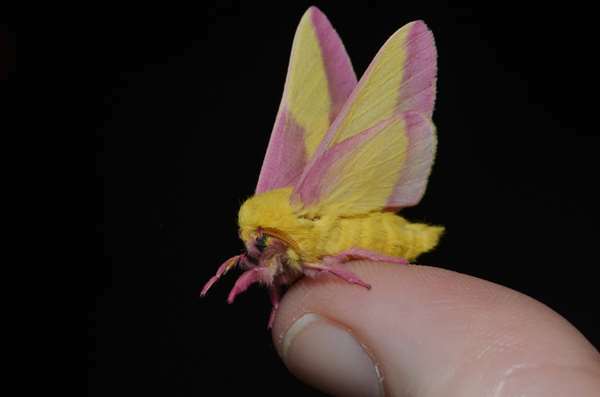 The young of the rosy maple moth eat mostly juices of trees. They can be found in Northern America. 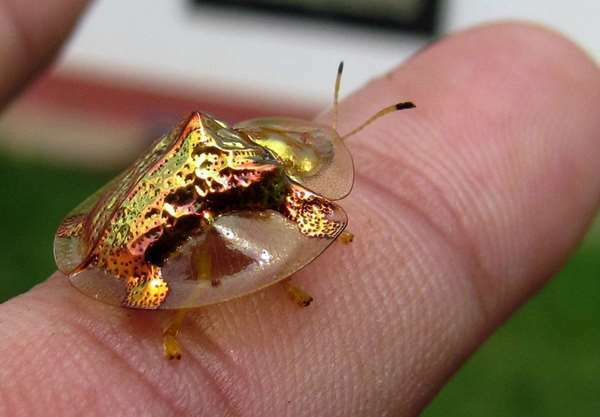 This insect have a golden upper shell and some of their shells would have reddish, brownish and blackish spots on them. They are mainly found in America and their main diet is sweet potato leaves. 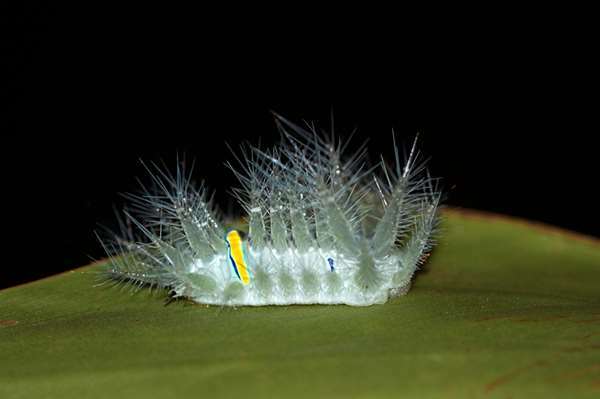 The body of the caterpillar is transparent like crystal and when matured, it will grow into a hairy moth. They prefer to stay in damp forest and are mainly found in Central and South America, the Caribbean and other places. 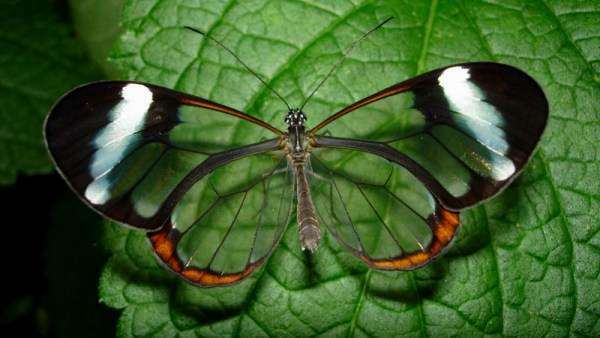 The wings of this butterfly are almost transparent so that it would not attract their predators attention towards them. They are mainly found at Central and South America. 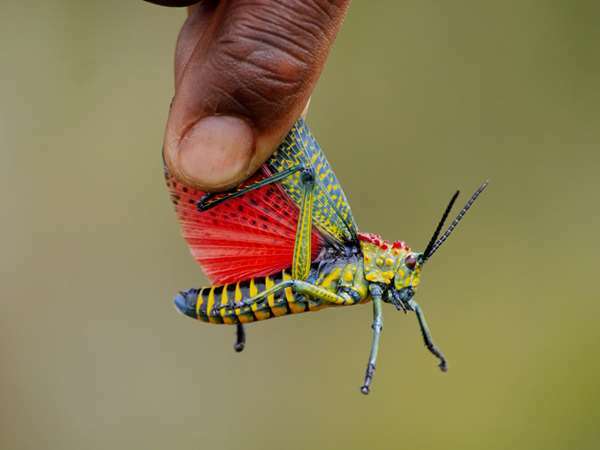 This colourful grasshopper is a dangerous grasshopper since they eat poisonous plants and turns venomous from the plants’ poison. Strangely, it will not die after consuming those poisonous plants but the case will be reversed if their predators eat them. Male grasshoppers could grow to a length of 10 cm. They are mainly found in Madagascar. 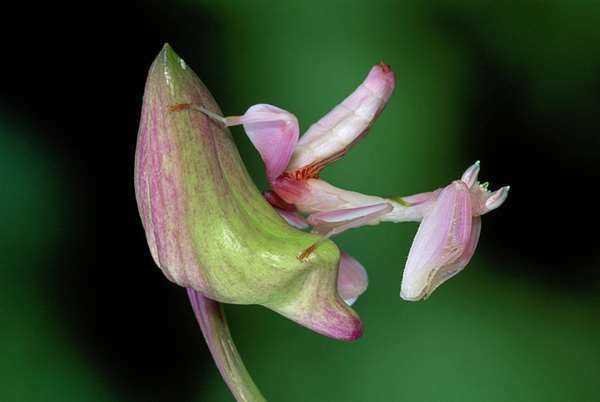 This kind of mantis looks a lot like orchids and they can also change their colours to adapt to their surrounding environment. They live mainly in the tropical forests of Indonesia and India. Their main diet is insects. These insects look special don’t they? Do not be surprised if you see them in nature because these are the surprise that Creators brought to everyone! 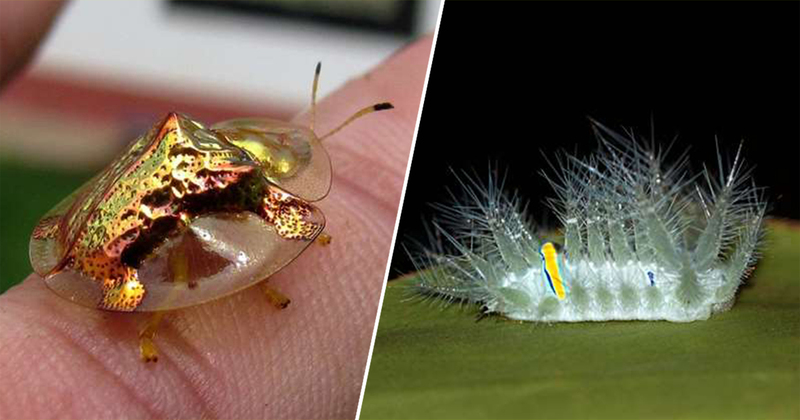 Share these special insects out to everyone to see! Next articleJapanese netizens were worried when they saw this seal leaning against the wall and it was not moving! 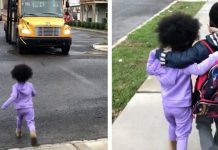 At first they were worried then later they found it to be super cute!